Heated to a medium roast, our organic coffee will make you feel alive and revitalized thanks to the natural antioxidants found in whole bean coffee. From Our Homestead to Yours, meet our roasters. Located in a 19th Century barn, on the shore of the Delaware River, Homestead Coffee works side by side with local business and small farmers to create high quality organic coffee with a focus on community. Their coffee growers maintain only the highest standards and levels of quality. 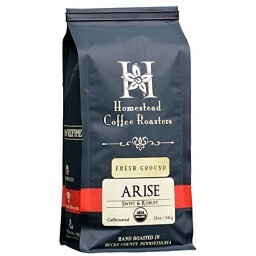 Homestead Coffee’s bestselling ARISE Signature Coffee Blend has been made with single-origin organic Indonesian Flores and Colombia Tolima coffee, and is Rainforest Alliance Certified. 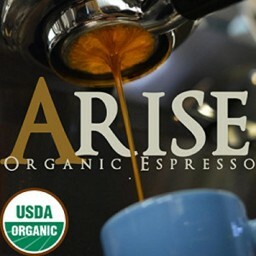 Arise is eco-friendly and sustainably harvested, and is always roasted fresh right before packaging. Heated to a medium roast, our organic coffee will make you feel alive and revitalized thanks to the natural antioxidants found in whole bean coffee. 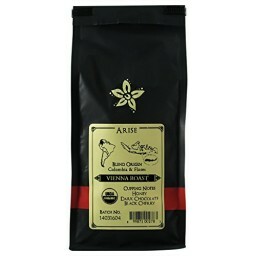 This well-rounded Colombian blend is a perfect roast for every occasion and brew, from drip style coffee to espresso. It doesn’t just taste amazing; it will make you feel amazing too! 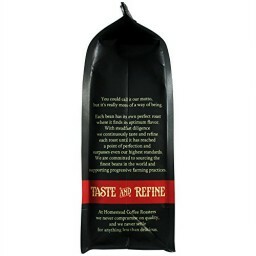 Homestead Coffee Roasters offers an earth friendly bean to feel great about from the packaging right down to the grinds.